Reebok has just teamed up with Swizz Beatz for another collaborative rework of the lifestyle silhouette. 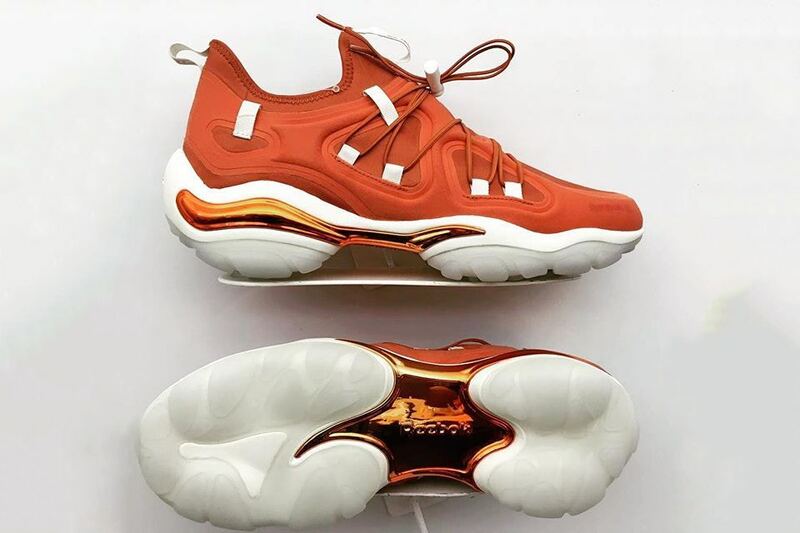 Covered in orange, the DMX Run features a lux retooling and also features white lace loops that allow the user to weave the shoe strings throughout the body as they are kept in place via lace locks. Metallic detailing also paves way as a highlight.